We’re impressed with the technology Netatmo is bringing to the do-it-yourself security space with its Welcome and Presence cameras. Face and object recognition are two features Netatmo helped pioneer, but has the company provided these perks and ignored customers’ favorite security features? We’ll discuss the Welcome’s and Presence’s key features and tell you our thoughts in our Netatmo Cameras Review. 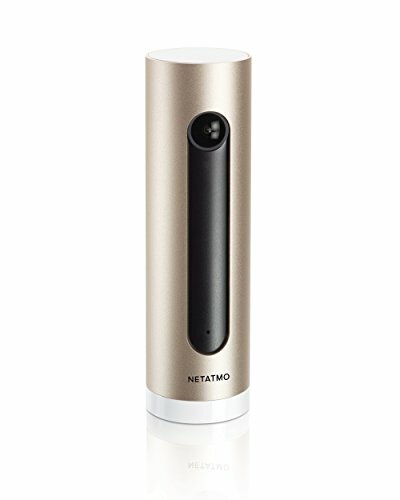 Summary : Netatmo’s cameras have great features and designs. The picture quality is excellent and the motion detection performs well. However, the cameras are missing some features that we’d like to see, and the customer service could broaden its hours. Before we go over the pros, cons, pricing, and tech specs. of Netatmo’s cameras, we’ll give a brief rundown of what each camera does. This indoor camera recognizes faces and lets you save and name up to 16 people. The camera tells you when people pass the camera and who they are, if they’re one of the 16 faces you’ve saved. One benefit of Welcome is that it lets you know your family members make it home safely—you can get a notification when your kids get home from school, for example. Netatmo recommends placing Welcome near the main entrance so it can detect the faces of everyone who enters. Installation for Welcome is very simple. All you do is plug it in, download the app, and follow the on-screen instructions. 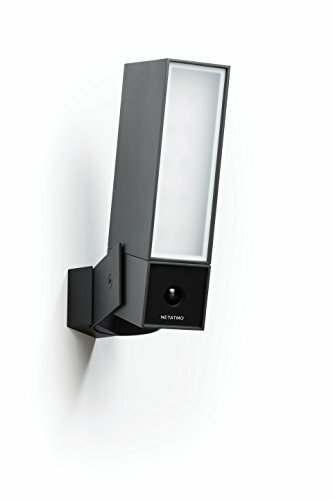 This camera is installed outside and can take the place of any existing outdoor light. It takes a 12-watt bulb and is dimmable. You create up to four rectangular zones within the camera’s view field, like the driveway or the front lawn. The Presence alerts you when it detects a person, car, or animal in the zone, so you’ll know when someone’s lurking on your property or when the neighbor’s dog leaves a “package” on your lawn. This is a pretty cool feature and one that is uncommon in other outdoor security cameras. Presence is great for those who are away from home often or those with vacation homes. Since the installation for Netatmo Presence is more extensive than for Welcome, we included this video to give you an idea of what it entails. Netatmo can connect to other security and home automation devices through IFTTT (if this then that). IFTTT is a technology that creates a series of events when something occurs. For example, if Netatmo Presence detects a certain person at home, then the D-Link Smart Plug can turn on your coffee pot. Netatmo can connect to Scout Alarm devices, Philips Hue, and D-Link Smart Plug. Netatmo has three forms of customer service: help center, email, and Twitter. The help center is extensive and has articles covering various issues customers have struggled with. Twitter seems to be the next best place to go. Netatmo’s Twitter support page answers questions Monday to Friday from 9 a.m. to 6 p.m. (UTC+2), which is 3 a.m. to 12 p.m. (CST). These aren’t the most convenient times for people in the United States, considering most Americans would likely be either working or sleeping during those hours. Email is the last option, but you may not get a response as quickly as you would with Twitter. Oddly, Netatmo does not offer phone support, which may cause problems when performing a complicated install on the Presence. Offering no support on the weekends docks Netatmo some points too. I Tweeted to Netatmo a few times and heard back fairly quickly. In fact, this is one of the best experiences I’ve had with Twitter support through a company. My questions were answered within the day, and the representatives were very helpful. A few of my Tweets were sent out Friday afternoon, which meant I didn’t hear from Netatmo for a couple days because of its hours of operation. I wish it had support options seven days a week, but I was pleased with the support I did receive. I wanted to call Netatmo, but there is no phone number, which was a little disappointing because most security companies offer a number to call. Want to hear from people who have used Netatmo at their homes? People love the Netatmo cameras’ clear picture and advanced features, while complaints center around an overwhelmed customer service team and technological glitches. Prior to buying this camera, I had the Fujikam FI-361 HD, the Dropcam pro, and i even bought the new nest cam. You cannot even compare the software! Obviously it’s 1080 full HD, but there is a the face recognition software. For about a week I kept receiving alerts for me to identify unknown faces, but now it works perfectly. You don’t have to stare at your camera of rewind to see what happened, you have a a time line showing you all the motion and the faces to show you at what time who came, and you can setup alerts for each person. I personally set a notification for my house keeper so I am sure at what time she arrived and leaves. no more BS! Do we recommend Netatmo cameras? Netatmo has a lot going for it as a DIY security solution. Specifically, we think the Presence is a great solution for the outdoors. One thing we’d like to see added to both the Presence and the Welcome is a siren. Without a siren, there is no way to scare off an intruder, which is the main purpose of these cameras. The Welcome wouldn’t be our first pick for an indoor home security camera, but if you want to keep an eye on things at home, we think it’s a great solution. 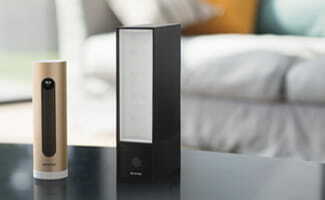 Do you think Netatmo has what it takes to protect your family from an intruder?